Organic elements infuse a tiny home wtih warmth. 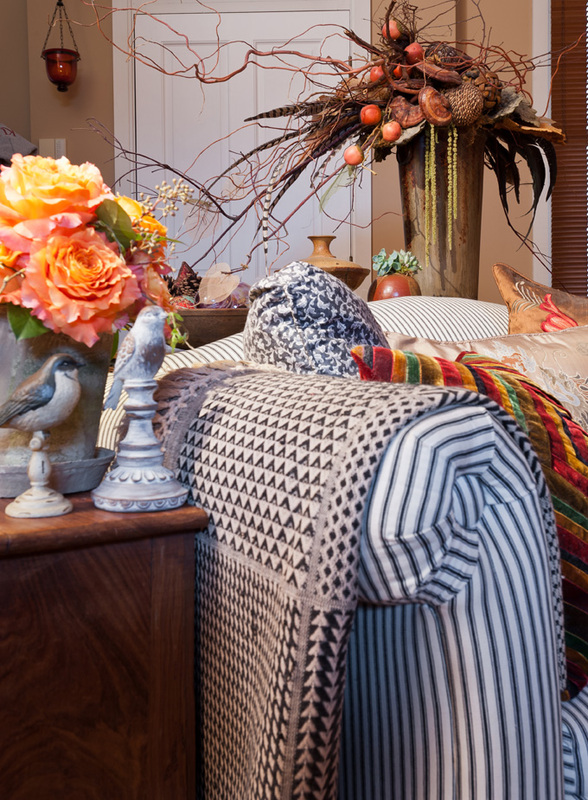 A striking horizontal arrangement fills out the sofa table with color and texture. Nick has personalized his home with objects throughout his history. 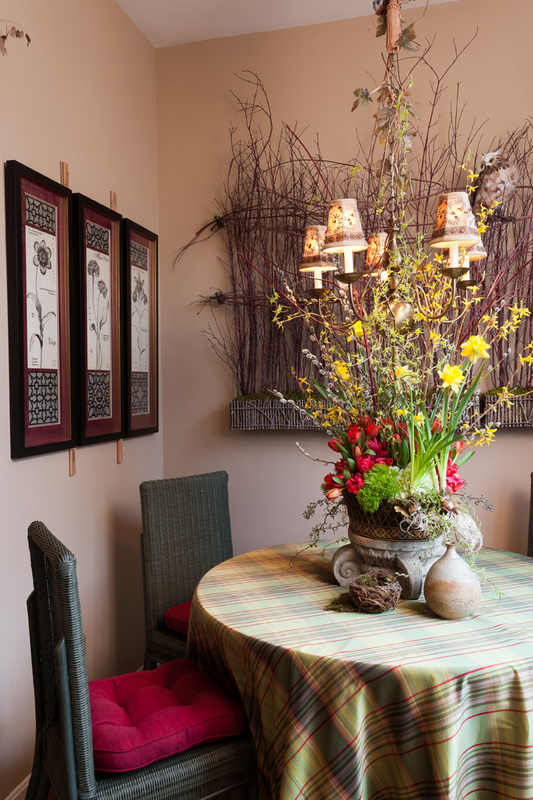 Plants play a big role in the townhome's decor. 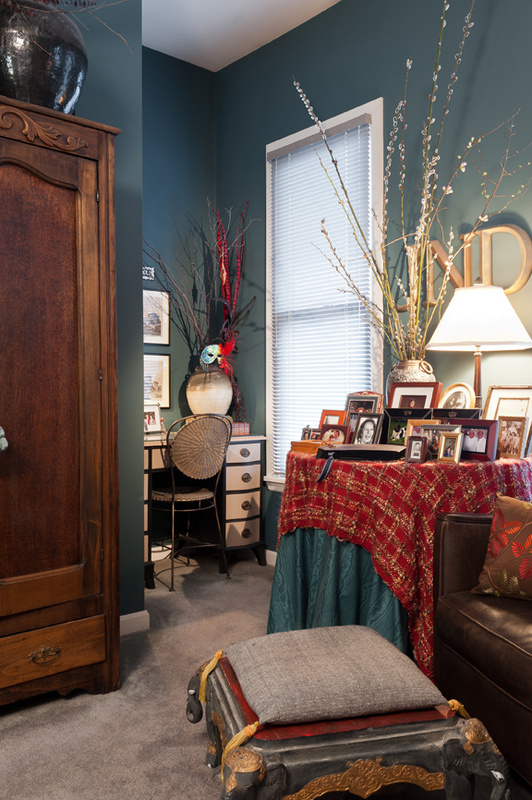 When it comes to decorating small spaces, many believe in the “less is more” tack. But Nick Decker favors the opposite approach. His Lafayette Square townhouse, just 1,200 square feet, is practically stuffed to the gills. That doesn’t mean things are just strewn about or packed in without care—no, the trick to Nick’s approach is careful selection and placement of furniture and accessories. The living room’s seating arrangement, featuring a cushy loveseat piled with plump pillows and two occasional chairs, is close-set and angled to focus on the fireplace. A large round table perfectly fills the small dining area, while upstairs, a folding screen delineates the sleeping and dressing areas of the bedroom and a desk fitted into a nook serves as a small office. Dotted about are cabinets and armoires for storage, and carefully placed side tables display artfully arranged accessories. 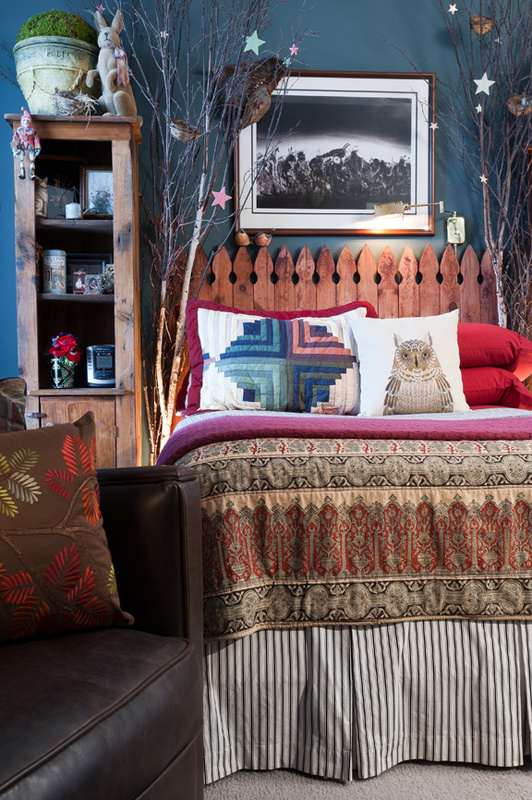 The result is a tidy, pleasing coziness, which is exactly the effect he was after. That natural theme is carried through to other elements of the home. The dining room’s chairs, though painted olive green, are wicker, as are the baskets supporting the coffee table’s glass top; tables and armoires feature natural wood. Even Nick’s color choices—a neutral tan, a brick red, a comforting deep blue—were “all about reflecting nature,” he says. 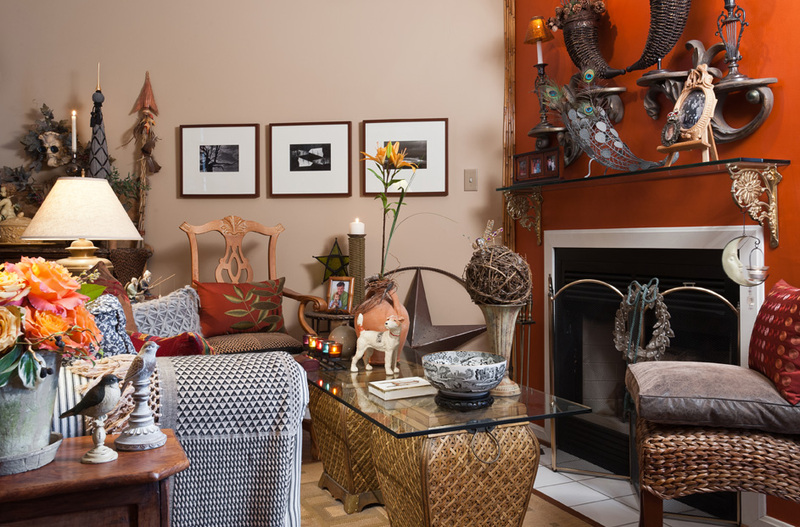 Nick has personalized the home even further by placing objects with history throughout the space, such as the pottery pieces he made in college and an artful porcelain bowl that belonged to his parents, as well as touches that express a playful side, like the stone gargoyle above the living room’s sideboard that sports a pair of sunglasses. And of course, photos of family and friends are found everywhere. “I think it makes a world of difference in a home,” he says.